Jar of Love - Happy Anniversary Shaker Card! Its our Wedding Anniversary today! Twenty four years ago today we got married. The sun shone then too. It was a beautiful day surrounded by friends and family. I wanted to make my hubby a special card and the Jar of Love Stamps and matching Everyday Jars Framelits seemed perfect. I first bought this set as a bundle about a year ago, I loved the whole set. It has lots of images perfect for lots of occasions and the Framelits cut everything out so easily on the Big Shot. I must admit though when it arrived I was a little overwhelmed by it. Has that ever happened to you? It seems like there are endless possibilities and yet you don't know where to start! I have a tip for you if that happens. Concentrate on one idea and go with it. Leave all those other ideas , or things you think you could do, to the side for the moment. Play with one or two elements in the set and see what you come up with. I have found it helps the creativity flow and before you know it you are on a roll. The Jar of Love is perfect for a shaker card. This is how I made mine. I have stamped the largest jar onto window sheet using black Stazon ink and leaving a border cut it out. Using the matching large jar Framelit I cut an aperture into the Very Vanilla cardstock base and adhered the window sheet jar behind it. I used the double sided foam strips to create a border around the jar and filled with sequins and teeny tiny hearts cut out with the strip of hearts framelit in Powder Pink. The "water" is stamped in Pool Party , the Love sentiment in Flirty Flamingo and added flower stalks in Pear Pizazz onto the cut out Very Vanilla jar. I then placed this behind the window on top of the shaker elements. The double sided foam pads keep it snug. I then adhered a piece of cardstock behind to keep it all in place. A piece of Very Vanilla card stock the same size as the base adhered behind finishes it off neatly. The best part of making the card is building up your bouquet. The larger flowers were stamped off on scraps of Very Vanilla card stock in Flirty flamingo and two step stamped, again with Flirty Flamingo ink. Then cut out using the Framelits .The smaller flowers were also two step stamped in Powder Pink ink onto scraps of Very Vanilla card and die cut with the Framelits. They are cut two at a time making short work of it. I had stamped a couple of the leafy stems onto the card to sit behind the flowers and I then built my flowers up. Some of them flat and some with mini Dimensionals behind. I placed them wherever I thought it looked most pleasing with a couple of my blooms fallen. As it is an Anniversary card I used the Anniversary sentiment form the Number of Years stamps on small rectangle of Very Vanilla card edged in Flirty Flamingo ink and raised with Dimensionals. With the Number of Years stamps I put Happy Anniversary inside in Flirty Flamingo and thought it would be fun to add the numbers in Powder Pink card using the Large Number Framelits too! I hope you like the card. Click on the subscribe button for my posts to drop into your inbox if you don't want to miss anything! I just love the bicycle in this stamp set. It reminds me of the bike I had when I was a student nurse many years ago and I had to cycle to work. Good memories. 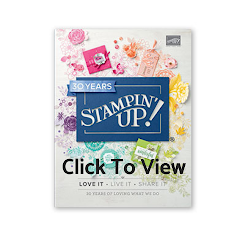 Everyone who attended the last Stampin Up convention in Amsterdam was gifted this stamp set. Very appropriate and makes me think of the many bicycles we saw whizzing about. This set has so many images included in it so that you can change it up easily and use It for all sorts of occasions. For this card I used Bermuda Bay and Smokey Slate colours. the sentiment from Colourful Seasons. The little dog is so cute to stamp and I've added the flowers tumbling from the basket. All the elements stamp separately and can be two step stamped. All of these cards have a little Wink of Stella added for a hint of sparkle. I've used Powder Pink and Smokey Slate for my colour palette here and I used the stack of books in this one. You can just see them peeking from the basket. The little dog is perching happily on the back. I've cut out some of the elements and raised them up with Dimensionals. There is a matching die set to go with the stamps if fussy cutting isn't your thing too. I've used the sentiments for this card from the This Little Piggy stamp set. She believed she could so she did is perfect as a congratulations card and I have made this one for my daughter who has just completed her A levels and got her university place. Just to make another for my son who has just completed his GCSE's too! I've stamped this one in Wisteria Wonder ink and teamed It up with the Colourful Seasons stamps again. They complement each other perfectly. There are so many possibilities with this stamp set to make beautiful cards and projects I've just started playing with it and there will be so much more to come! I have a pretty card to share with you today using a couple of favourites from Stampin Up. The Daisy Punch and the Layering Love Stamp Set. I have used the beautiful Delightful Daisy DSP (patterned papers) as my back ground and picked out the pinks in it. The pink in the paper is Powder Pink but I used Blushing Bride ink just because it was to hand and I think they complement each other well. My card stock base is in Blushing Bride too as I the scalloped Oval I used in my topper. The Stitched Shape is cut out in Whisper White. My Daisy is punched out from Whisper White Card Stock four times and layered up to give a nice fill daisy and I used one of the lovely clear faceted gems in the centre. I have curled the petals slightly but they will flatten again nicely if you need to post it. To continue with a hint of sparkle I have used a couple of the rhinestones next to the sentiment and a piece of the silver ribbon behind. My DSP Layer measures 14.3 cm x 10 cm. I hope you like it. If you like the video please give me a thumbs up and subscribe. You can also subscribe to my blog by clicking the subscribe button at the top of this page and each post will land into your e mail inbox so you don't miss anything. 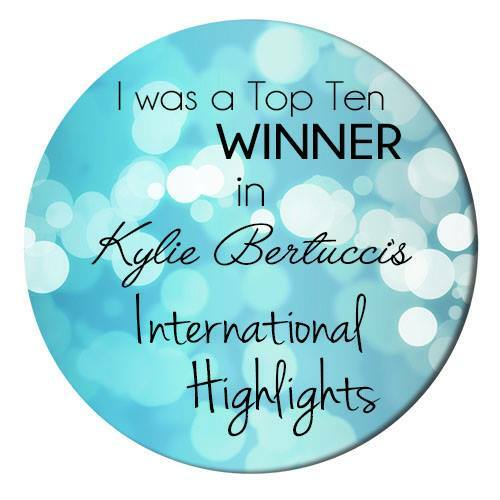 Do you like my Hip Hip Hooray Card? I used Happy Birthday Gorgeous which is a photopolymer stamp set and You Lift Me Up which is a Clear Mount stamp set. I also used the matching Balloon Punch and the Classic label Punch. I love how these coordinating punches make it so easy! Getting a really great stamped image is such a tada! moment and there is nothing more pleasing than seeing a new stampers expression of delight when they stamp for the first time. It never gets old! There at some very common things that can sometimes happen when you first start stamping though that can leave you frustrated and instead of feeling pleased and excited can put you off. Fortunately these are very simple to prevent indeed. The most common one I often see is the "halo" mark around the stamped image. This is usually caused by using the wrong sized acrylic block for the stamp. This results in the block making contact with the ink pad, or from pressing the stamp too hard into the ink pad. Clear Mount stamps (red rubber) and Photopolymer stamps(see through) both require placing on to acrylic blocks to use. They simply cling on on and pull off between uses and are very easy to use. There are lots of stamp sizes and it is important to choose the nearest size block to fit your stamps to get the best results. Buying a small selection of sizes of acrylic blocks is a good investment and one you only have to make once. Each stamp set in the catalogue shows you the recommended size blocks needed taking any guess work away! You can see at the very bottom on the front of the stamp set the recommended blocks for use. It is also listed in the catalogue. In my You Tube Tutorial here, I explain and demonstrate the types of stamps you can buy, how to avoid mistakes and get a great result every time. I also show you how to care for your stamps. they are an investment after all. I hope you like the video. Please give me a thumbs up and subscribe if you would like to see more. This is the inside. I used a little Wink of Stella in clear to add sparkle to the clouds both on the front and inside my card. I have a pretty note card for you today. Such a quick and simple project , yet I love it. You could easily make up a batch of these to give as a gift or make a quick card when you are pushed for time. I have used the beautiful blooms Stamp Set and stamped and heat embossed the flower image in White on the water colour paper. I have then used my ink pads as a paint palate and water coloured using an aqua painter. (water filled brush). This is so lovely to do! The water colour paper ensures you can easily shade areas and the embossed areas help "keep" the colour where it is meant to go. My card was inspired by a beautiful one sent to me by The talented Anna Krol for a #randomactofkindness. She makes such lovely things. 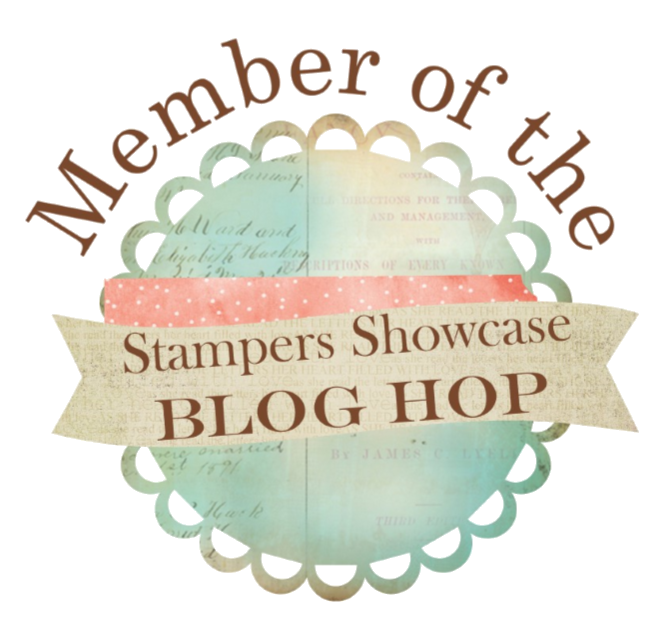 Do go and take A look at her blog at Anna Stampin Cave. I tried it with Clear embossing but felt it was too pale. I also tried it in copper embossing. I like it but prefer it in the white. I stamped "Dear Friend" from the set inside the card and repeated the process of embossing and water colouring inside the card with the small bloom and also on the envelopes. I love to have something on my envelopes! I hope you like the video tutorial. Please like and subscribe if you do. Stampin 101. How to cut bases and layers for your cards featuring This Little Piggy! How cute are these little fellas? This card is just here to make the blog post look pretty! 😃 and is an example to show you how I cut my card bases and layers. Something I had to find out for myself when I started card making. I always use the same measurements to cut my card bases. I like to make a standard size card that fits one of the standard size Stampin Up envelopes. I love those envelopes. I used to think that all envelopes were much the same until I started using them. Now I've been spoiled I wont dress my cards up in anything else. Such lovely quality. 😊 But I digress! My card base measurements mean that I can cut two from each sheet of A4 card . The way I cut my card stock most often is as shown above in the "This Little Piggy" card. I cut the card stock on my Stampin Up Trimmer with the long side at the top in half at 14.8 cm. I then score each piece in half at 10.5 cm. This gives me two card bases. Depending on which way up I would like the card I can have it in portrait or landscape. The other way I often cut my card is to cut the card stock with the short side at the top at 10.5 cms and then score each piece in half at 14.8 cms. This gives us a skinnier looking card and can still be used in both orientation. So the key measurements for both type of card is 14.8 cms and 10.5 cms. My layers I then cut at half a cm smaller on both sides. So at 14.3 cm x 10 cm. Each layer I reduce the measurement by half a cm. This gives a nice border around the card. I always put a white insert into my cards. This makes it feel more substantial and gives a solid back ground for stamping sentiments and writing in. This layer is the same as the measurements of my first layer,. So is 14.3 cms x 10 cms.